Redwood City Señors Softball Club - Come Join the Fun! 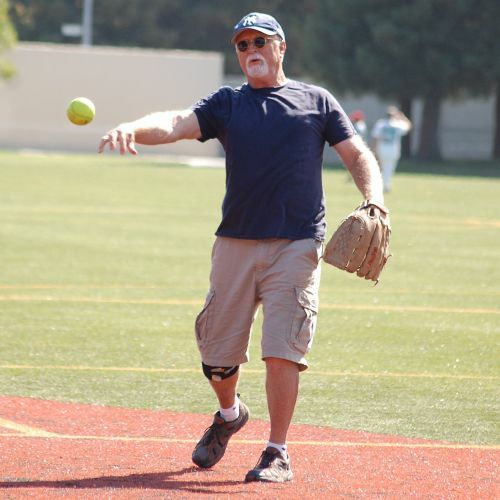 of senior softball (50 and over) in Redwood City and the Bay Area. 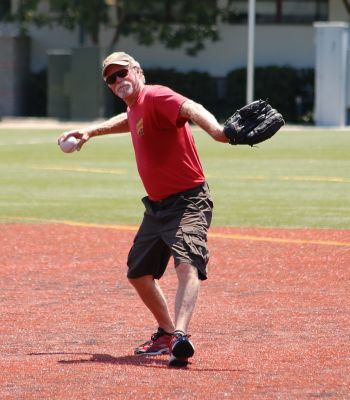 How to Join:Complete the membership application form to start playing senior softball in the Redwood City area. Games Played Tuesdays and Thursdays. This Fall at Hawes ParkThe Saturday League starts at the end of the NCSSA tournament schedule and ends when the tournament schedule resumes. 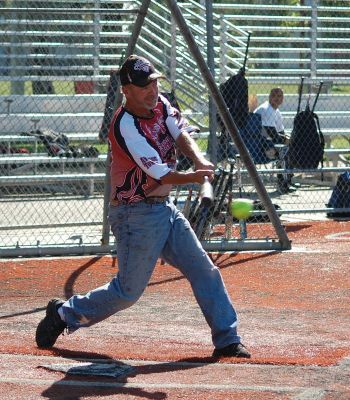 Each year, members are given an opportunity to receive personal and group batting instruction from a hitting expert. 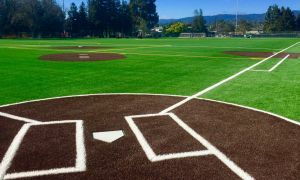 In past years, former San Francisco Giants player Terry Whitfield, has been the Club instructor for a series of batting clinics held at the Redwood City Red Morton Fields. Did you ever want to win a medal for your softball talent and skill? Club members have that opportunity each year when the Club hosts Señors Games; two days that feature 9 events divided up for each age level and gender. On Labor Day September 3rd 2018, the Club hosts a one-pitch tournament and BBQ. Members who have signed up are divided into competitive teams and play 3-4 games where they have to hit the 1st pitch or be called out. 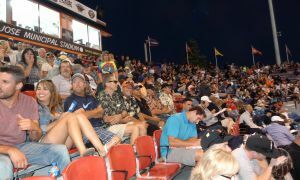 Each year club members and their guests are invited to a San Jose Giants game. In 2017, more than 75 members and guests enjoyed this fun event. 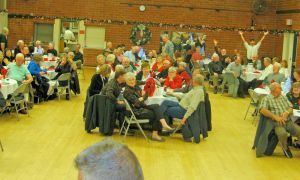 Each year on the 1st Saturday of December, the Club hosts a Holiday Party. The party is always a huge success. For a minimal fee, entrance to the party includes a sit down dinner of prime rib, chicken, or salmon, an open bar for the beer and wine connoisseurs, dessert, entertainment, and dancing with a DJ. Come join us for day or night play. 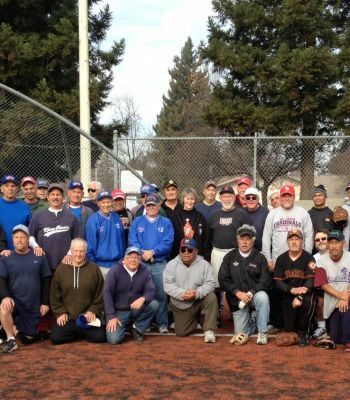 The Redwood City Señors Softball Club: Playing softball locally for men and women 50 and over. The Club welcomes senior players of varying ability and fitness, and encourages good sportsmanship and mutual respect. 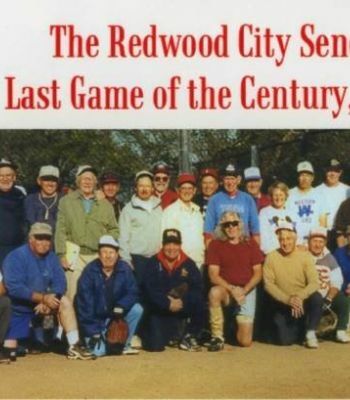 The Redwood City Señors Softball Club had its beginning in the 1970's. 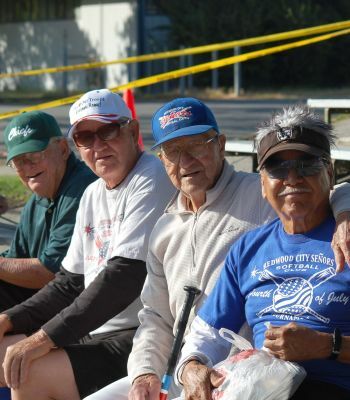 Senior softball was not a new idea nationally, but was new in Northern California. Senior softball nationally began holding tournaments and the Club was instrumental in the organization of the NCSSA. Welcome to our Contact Us Page. Have any questions?Want to join the Club? You're in the right place! 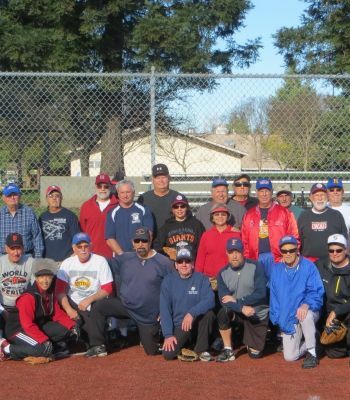 The Redwood City Señors Softball Club is comprised of members 50 years old this year or older, from all parts of the SF Bay Area. If interested in joining the Club, see the membership page. 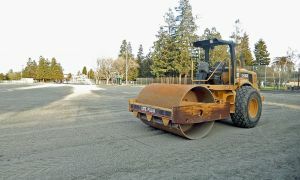 The Redwood City Señors Softball Club is a non-profit incorporated organization affiliated with the Northern California Senior Softball Association (NCSSA) and is operated by a Board of Directors. 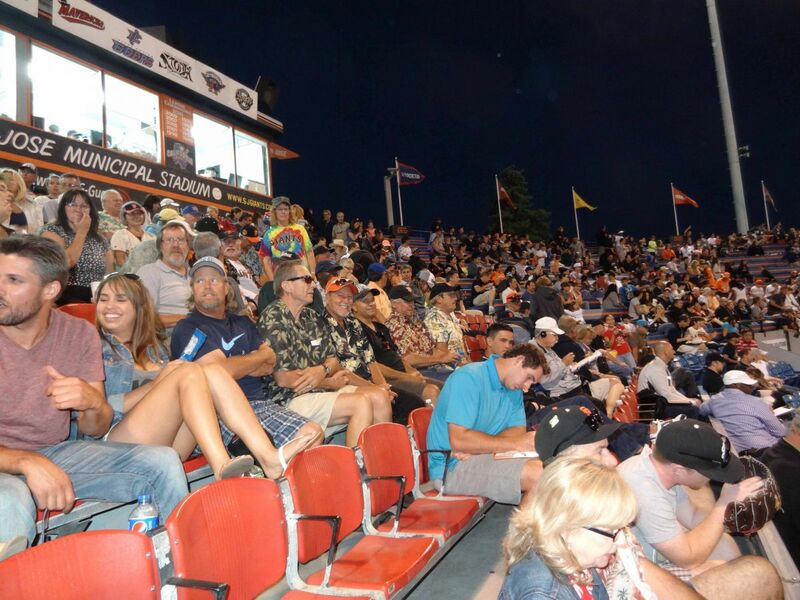 While it sponsors competitive softball and activities, it strongly encourages safety, fairness, and fun for all. Keep up to date with all Redwood City Señors Softball Club's Events! Need to find one of our game locations?